Three minute music video report from orchestra workshop for The Bow Corpse. 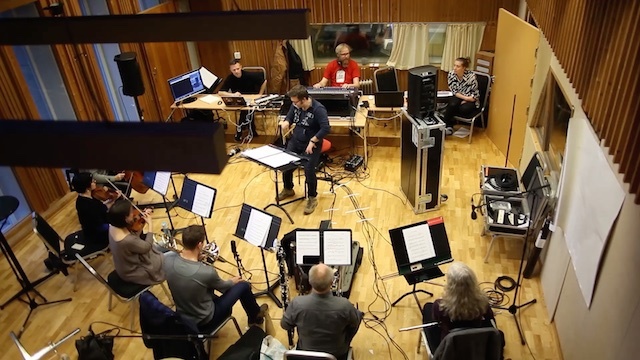 A week ago we did the first play through of the music score for The Bow Corpse, a commissioned work for Norwegian contemporary music ensemble BIT20. This was not a full setup with every performer, but gave us a first impression of how the music could work. 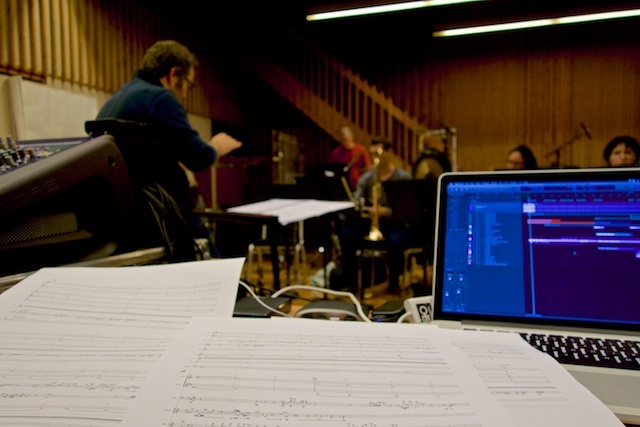 The score is arranged and orchestrated by co-composer Craig Farr, who will also perform drums and percussion. 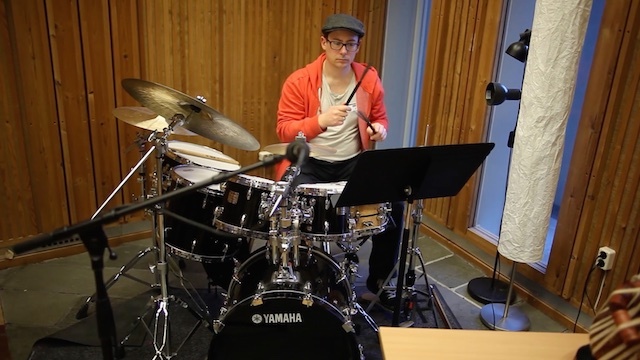 A neat trivia fact is that Craig is the one playing drums on my track Spider Eyes, the 2005 orchestra version of Spider-Man Theme. And even cooler, he was playing them in exactly the same spot ten years ago. Our conclusion from the orchestra workshop is mostly “oh, it’s actually working”. And a bit of relief, I think. There are so many crazy things we are trying to do, that could or could not work, and I’m happily surprised to observe: Not working YET but WILL. In particular I like the parts where Peter Kates, the percussionist, is written in the score as “improvise Ninja sword fighting with two bows on vibraphone alternate orchestral drums”. He will be fighting with – or against – swarms of clones of his own ghosts and scoring it at the same time. Now I spend some time focusing on final touches for the swarm application, to be used in a final public beta performance in March. 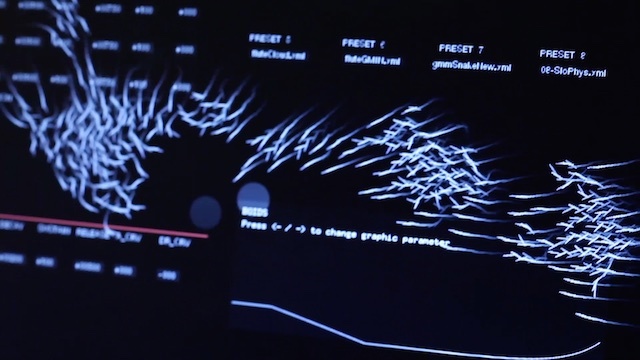 After that, we finalize the score, the electronic parts, and start working on the visual and spatial concepts. Premiere is June 1st, Nattjazz Festival, at USF Røkeriet.